I loved it, it is what it is. Much better than the Jolie versions that's for sure. Really enjoyed it. It won't win any awards, but it was very entertaining and held my interest. A huge improvement over the Angelina movies. 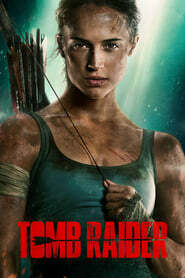 Alicia Vikander was excellent as Lara and she was in incredible shape. Good good movie. I really liked it.